Abvent have announced today the launch of Artlantis 6 (Render and Studio) the fastest stand-alone 3D rendering and animation software for PC and Mac. 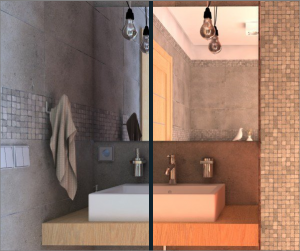 The new, physically correct Artlantis 6 rendering engine, with its legendary simplicity, allows you to create visualisations of an incomparable beauty and quality. 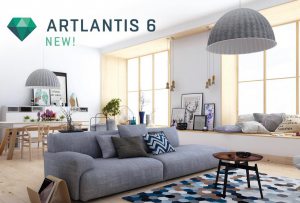 To create stunning images, Artlantis 6 now includes its own built-in physical engine, emphasizing physical rendering quality, precision, material accuracy, and energy consumption. White Balance allows you to adjust the dominant colour of a scene to the ambient lighting. Simply set this new parameter to automatic colour mode or select a reference colour, which will be recognized as white in the 3D scene. This new option in Artlantis allows users to display a global ambient occlusion to create virtual shadows in small areas where natural light does not go. It brings more depth to both interior and exterior scenes. During calculation, white model rendering changes all surfaces to white except for those that are transparent. 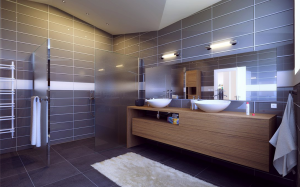 Lights maintain their colour for sophisticated environments. By default, Artlantis offers 8 IES pre-set profiles. Artlantis 6 now allows you to import downloaded IES profiles from manufacturers’ websites. These files are used to simulate realistic illumination of your projects. For even greater flexibility, Artlantis 6 allows you to easily edit the brightness, colour, direction and opening angle. Artlantis now fully compatible with HDRI files, for the background and for the global illumination. The “enhanced sky” function in the engine settings increases the photo-realism of the images. When using the site insertion feature, Artlantis 6 offers a new and simple projection process with more accurate calculations. After aligning the XYZ axis in the 2D view and in the preview window, the model is easily positioned on the background image. A revolutionary integrated tool allows you to add transparency to a foreground image directly in Artlantis to enhance the quality of your projects. With a simple click on the reference plane in the preview window, you set the position and orientation of the projection of the laser. A red line projected 360 in the model allows you to automatically position the objects or textures.